I’ve now played Super Smash Bros. Ultimate on the Nintendo Switch. Never mind that the preview session featured an earlier version that didn’t include the recently-announced King K Rool and Simon Belmont. This might have been the same version of the game that plenty of people got to play at E3 this year, but stuck here in Australia it was my first chance to get time with the game, and as a long-standing fan of the series, I’m delighted. I’ve been with Smash Bros. right from the start. Back on the Nintendo 64 when there was less than a dozen characters and stages to choose between, and then on to Melee and Brawl on the GameCube and Wii. I’ve seen this series grow from a quirky side project of the scale and importance of the Mario Party series to what is arguably the most important property that Nintendo currently owns. In that context it should not be surprising that people are excited for Smash Bros – or indeed that I’m excited for it – and the hand’s on time has convinced me that Nintendo is making no mistakes with this latest title. In fact, it’s probably the most safe game that Nintendo has produced in generations. It’s the same Smash Bros that you knew and loved from before. We’re promised all the characters from all previous titles, doing much the same moves, over the same stages. I’m sure there has been some tweaking that has gone on in the background to ensure the game maintains its edge for the competitive circuit, but that’s a space that I simply don’t understand, nor care to. 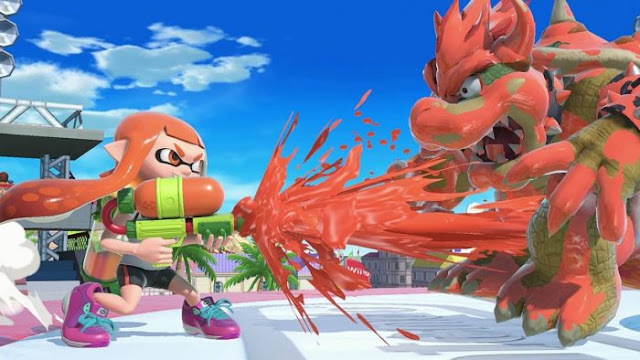 Smash Bros is no more a competitive endeavour than Mario Party, and, frankly, I think anyone who takes it past that party game spirit has badly misunderstood the raucous value of the series and the spirit with which it was created. But, whatever. If people want to take Smash Bros. seriously, power to them. What’s important is whatever the balancing that has gone on, the core of the game isn’t lost, and I found old favourites (Pikachu, Pokemon Trainer) to be instantly familiar and comfortable. I was instantly pulling off my favourite moves with each character, and adopting the same tactics that I’ve honed over so many hours of multiplayer bliss in the past. It pleased me that I was holding my own against the other Australian media, but when I picked up the new Inkling character, I struggled mightily. Who knows how he/she is going to end up performing in that competitive scene, but for people who enjoy a technical fighter, the need to manage ink supplies and capitalise on the advantage offered when you cover your opponent in ink is going to be an enjoyable learning curve. At 60 characters in total, fans both new and returning are going to be able to find their favourites, and regardless of that balance in competitive play, in local multi-player, where “character tiers” and other such nonsense mean less than picking your favourite character, 60 characters is going to be a winning feature. The two new levels that I got to play on fit right in without doing anything particularly interesting. The Splatoon level features ramps, predominantly, forcing players to take height differences into account when attempting to hit opponents. The other new level is based on Breath of the Wild, but other than being small and having a destructible middle part, there was nothing to really get excited about with that one. Now that we know that Konami and Castlevania is involved, I think it’s fair to expect some great new stages, and there’s nothing wrong with the existing stages, but with everything pulled together, the biggest criticism I have of this game right now is that it feels so safe that it could almost be a DLC add on to the Wii U/ 3DS Smash Bros., rather than something genuinely original. 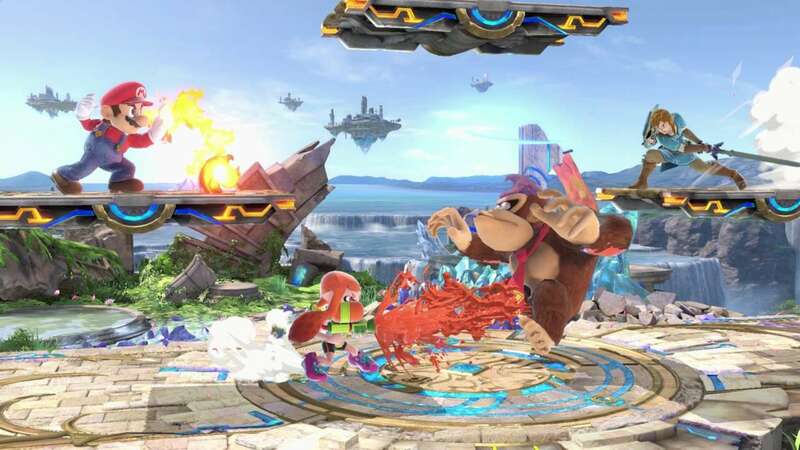 Even if we are to assume that King K Rool and Simon Belmont are joined by a host of new characters and stages, that initial impression will be hard to shake. 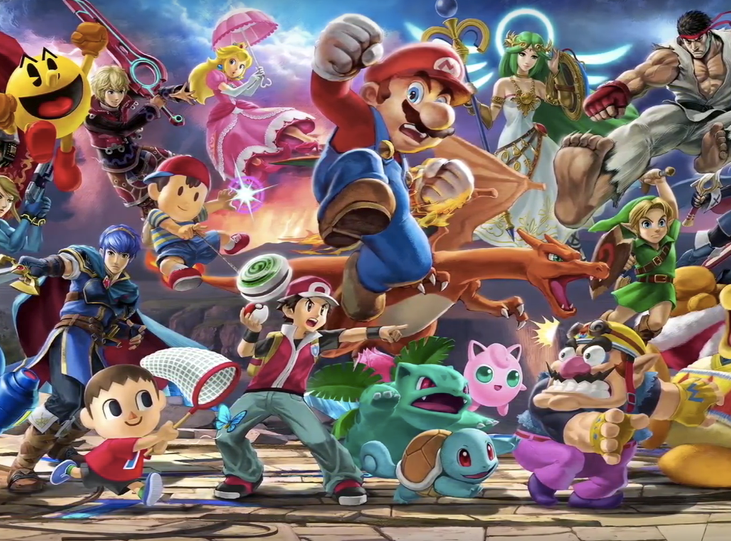 Smash Bros’ biggest challenge is that it’s neither changing nor evolving. There’s an ever-growing glut of content that can be found in the games, but I would argue that the Smash Bros. Melee, or even the original Smash Bros. on the N64, had more than enough to it. Piling on more good stuff to an already good thing is fine, but is it really doing enough? To people who have already got fond memories of playing 60-minute long Smash Bros matches, what’s in this one that helps to really push it forward? In fairness, nothing about Smash Bros. is a problem unique to it. Fighting games developers as a collective have struggled to justify new releases in ways that don’t simply involve throwing more characters at players. It’s a genre-wide issue, since we’re now at the point where those retro re-releases are starting to look good precisely because they pare back the scale. Give me ten characters that are unique, interesting and individually interesting to use over 30 characters, and then focus on making sure the balance between them makes each and every battle genuinely interesting. The more characters you throw in, the more you end up with match-ups that are just not fun. I should also note that I’ve only been able to play multiplayer battles, and in fairness to Nintendo each Smash Bros title has tried hard to introduce new features and ways to play in the single player game, be that a board game mode, an adventure mode, or other expanded single player experiences. I’d be surprised if Ultimate was any different there, and I look forward to seeing what Nintendo comes up with. Perhaps most importantly of all that, as a Nintendo Switch game, you’ll be able to play Smash Bros. Ultimate in local multiplayer anywhere. Ignore online multiplayer; it neither captures the essence of Smash Bros nor offers anything to anyone aside from competitive players. The real selling point to the Nintendo Switch version will be in being able to take those Joy-Cons and play locally with anyone, directly off the Nintendo Switch’s screen. Impromptu Smash Bros. parties during work lunch breaks, while on holiday in the middle of nowhere, or on planes on the way to nowhere. This game is potentially one of the most exciting applications of the Switch hardware features to date. There’s everything to like about Smash Bros. on the Nintendo Switch. Nintendo has a console-shifting winner on its hands, and knows it. This is a game that will sell ungodly numbers of Nintendo Switch units in time for Christmas, and it well deserves to. Despite my reservations about the game becoming an exercise in bloat over finding creative new ways to reward long-term fans of the series, it’s the kind of thing I’m simply not going to be able to put down. Just give us Hatsune Miku, Nintendo. We’re begging you.